Are There Legal Psychedelic Drugs? Home › Psychedelic Facts › Are There Legal Psychedelic Drugs? Though legal psychedelic drugs do exist, most of them are not intended for human consumption and are toxic if taken by humans recreationally. Methoxetamine is a legal drug taken for its psychedelic effects though it is potentially toxic. When it comes to psychedelic drugs, those sold as legal are for the most part, flying under the radar of the law. As with any activity or practice that skirts legalities, “where there’s a will there’s a way” to get around laws and regulations concerning psychedelic drugs. Legal psychedelic drugs have yet to be labeled as actual drugs, which makes them all the more accessible to people who seek them out. Though accessible, safety concerns continue to mount with the overall lack of information regarding their potential effects. Ultimately, legal psychedelic drugs may bring on dire and even fatal consequences with long-term use. Legal psychedelic drugs exist in all different types of forms and guises. Nature-made psychedelics, such as mushrooms and those that come in plant form fall outside the jurisdiction of the law. Other types of legal psychedelic drugs may be marketed as something else altogether with only those “in the know” purchasing them for drug-related purposes. Whether naturally occurring or manufactured, legal psychedelic drugs carry the same potential harmful effects as illegal drugs with the added unknown dangers associated with continued use. With little to no scientific testing or record of known effects, ongoing use of legal psychedelic drugs may very well be akin to playing Russian roulette with each drug “high” experienced. Users can gain access to legal psychedelic drugs through the Internet as well as through everyday drugstores and home improvement stores. When sold over the Internet, no age verification is required and purchasers need not submit a doctor’s prescription. Users seek out psychedelic drugs for their known hallucinogenic effects. Depending on the type of drug, a person may experience a distorted sense of reality, hallucinations and an overall “other-worldly” effect. Methoxetamine, another designed drug, comes from Ketamine, a known animal tranquilizer drug. As a medication used by veterinarians, methoxetamine has known toxicity health-risks. Amanita Muscaria, a nature-based drug in mushroom form, can be cooked and eaten. It’s considered poisonous when consumed in large quantities. According to the Connecticut Department of Consumer Protection, manufacturers of legal psychedelic drugs sidestep existing regulations and controls by creating analogs of existing drugs. Modern chemical manufacturing processes have made it easy to concoct formulas that produce the same effects as known psychedelic drugs. 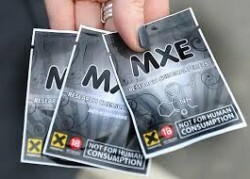 These processes have also made it possible to produce new “designer drugs” at an alarming rate. Who uses Psychedelics? - More people than you may expect seek out the effects of pschedelic drugs.